The Evoque convertible has a windshield slightly less steep than the closed body version now on sale. 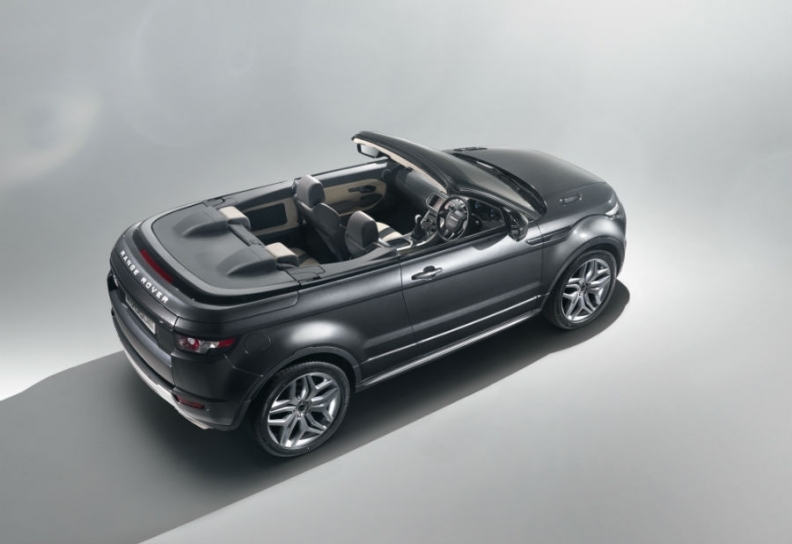 Land Rover will unveil a Range Rover Evoque convertible concept at next month's Geneva auto show. The company says the model could become a production reality if public reaction is positive. The soft-top, four-seat SUV has a fully retractable roof system with a roll-over protection system. Land Rover is working on a technical solution that would make it possible to open and close the soft top in about 12 seconds. The concept keeps the production Evoque's rising waist line and the car's distinctive shape has been retained. The new convertible body style has been achieved with minimal changes to weight and torsional rigidity. The show car is based on the Evoque's Dynamique Plus version and is powered by a four-cylinder, 240-hp 2.0-liter gasoline engine. The concept has been developed by Land Rover Design Director, Gerry McGovern and his team. McGovern said there will only be minor changes if the car makes it to series production it will be as it is with minor changes. Land Rover will decide before the end of the year whether to build the concept and an announcement may come at the Paris auto show. 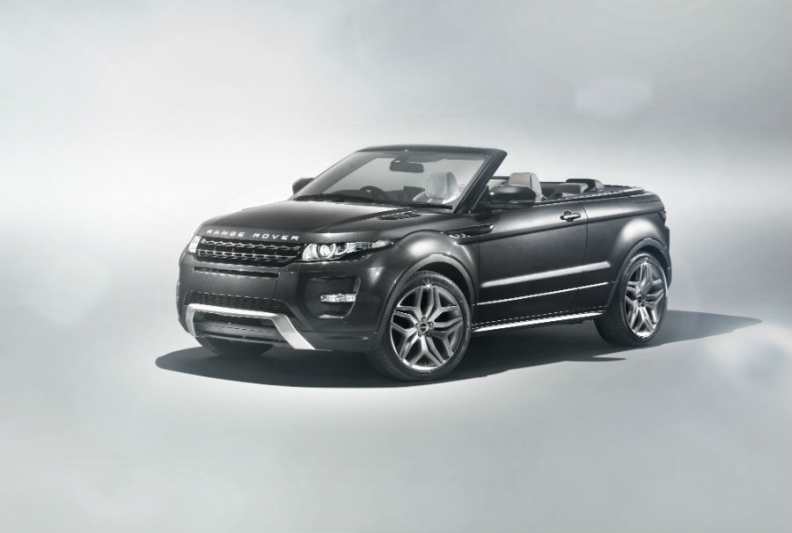 If confirmed, production of the convertible will start in early 2013 in Land Rover's Halewood, England. Land Rover is testing public reaction for the Evoque convertible. In a bid to win more women and younger customers to the brand, Land Rover launched production of the Evoque in July 2011. The car is offered as five- and three-door versions and is the lightest and most fuel-efficient model in the Range Rover lineup.